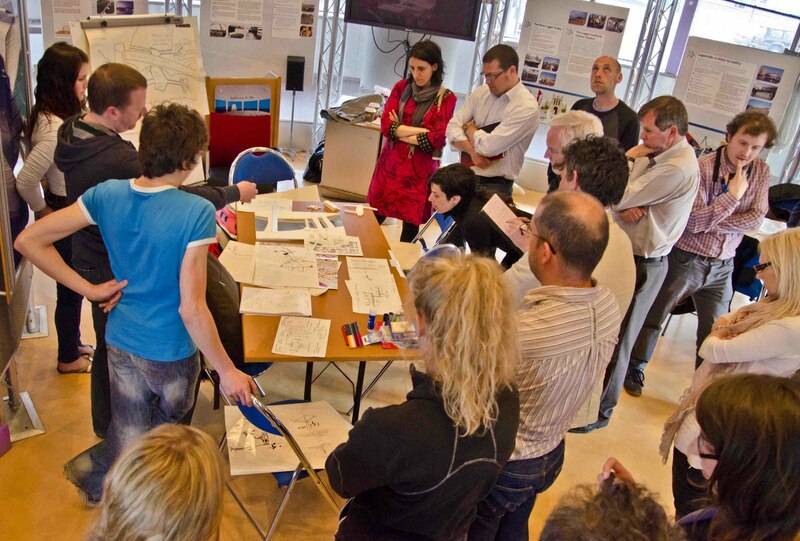 Participants were asked to come up with ideas to encourage use of the riverbanks in Belfast. Photo by Robin Cordiner. Arthur Acheson, Chair of the Ministerial Advisory Group on Architecture and the Built Environment (MAG), outlined the benefits of people from different professions and backgrounds working together: "I think this is the future. We have vast acreages of space in Belfast that are not being used, because they are not particularly attractive to people." Harnessing ideas from different points of view is essential to good design - "not just for the space itself but the activities that go on there," he says. Soft green landscaping, on-street parking, and a reduction in the number of traffic lanes were also suggested by participants as ways to encourage more use of the area. One team suggested a floating pontoon connecting the Obel to the Odyssey - the space could be adapted for events throughout the year. Participants took in the view of the riverbanks from the vantage point of the river. Photo by Frances Haire. Part of the day was spent on a boat tour of the River Lagan, where participants got a view of the river banks and the types of activities that go on there. "Any other city would be using the river," said Patricia Freedman of the Cathedral Quarter Steering Group, pointing out the opportunity for use available just a few hundred yards from the city centre. Despite improvements to the urban environment, the Laganside area is still underused. Photo by Frances Haire. "There are positive starting points for making things work better across Northern Ireland - we have compact, legible and easily walked city centres in Belfast and Derry," said Michael Hegarty, Director of PLACE. The teams discuss their ideas. Photo by Robin Cordiner. What next for Laganside? "The ideas and principles generated today could feed into real propositions for the future of the area," said architect Ciaran Mackel. He cited the example of the Forum for Alternative Belfast, whose concepts for the road network in North Belfast are currently being debated by the Roads Service and local residents. "From small beginnings, big ideas can grow," he said. This sounds like an interesting and important meeting. We agree that Belfast seems to have turned its back on the river. Rachel and I have been interested in this ‘problem’ for a while now and one of the ways we have been trying to tackle it was by teaming up with Pedro Donald and tendering for the café space on board The Barge which is moored at Lanyon Quay. We see this as an artistic project. By setting ourselves the brief of exploring the maritime and industrial heritage of this city we could design a really considered reliable place (from physical space to menu to programme), with our ultimate ambition being to shift the city centre. Our ‘audience’ is varied, from office workers and legal’s, to tourists to local and visiting arts professionals to passers by. We see this café and venue as part of a wider cultural network and will be partnering with other organisations and initiatives where appropriate. There are great spaces along the quayside which are calling out for activity, like outdoor screenings, hosting markets of the Festival of Fools of the like. For now, our space is called The Galley and will open on Saturday 21st May with the official launch event on Sunday 5th June. Please tell your friends and take the walk! 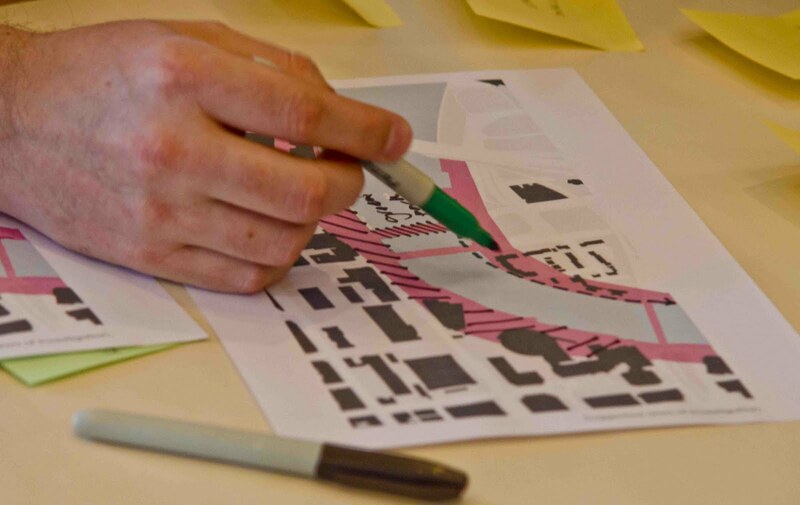 My heart sank there when I noticed there was no mention of landscape architects in the design charrette...where there any involved? As a landscape architect student myself I am fully aware of our profession being excluded and being trampled all over by other disciplines who do not fully understand the expertise and specialised training we have undertaken with regard to the design of public open space. Sadly this seems to be the nature of the 'industry'. This is exactly the type of scheme that requires leadership from a landscape architecture team...in my humble landscape architect opinion of course.. 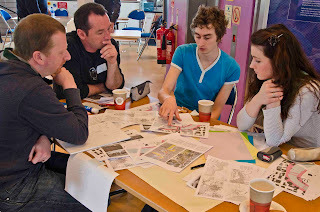 Yes indeed, there were a number of landscape architects who took part on the day. Our design charrettes open to all those who wish to contribute, and we'd encourage you to take part in future too. For the site being looked at in this case, I'm sure their team members would agree that the landscape architects had an important role to play.